Service men and women dedicate a great deal for not only their families, but for the country as a whole. They dedicate years of their lives digging their boots in the ground and protect and serve. Our country is what it is thanks to those who serve. Unfortunately, some of those who return home aren’t the same. The moments they experienced and pushed through took a toll on their mental health. Posttraumatic Stress Disorder (PTSD) and trauma set in and are not very forgiving. However, non-military individuals experience PTSD and trauma as well. Instances such as car wrecks, natural disasters, or a health emergency can cause life long issues just like veterans. There are many instances that can lead to trauma and PTSD. 61 % of men and 51 percent of women have experienced at least one trauma during their lifetime. While medications may seem to help, they’re not always the best option. Hypnotherapy for Trauma and PTSD is a great alternative for those struggling with these problems. While everyone’s symptoms vary, there are five major symptoms that are broken down into DSM-V diagnostic categories. Here are five symptoms and how Hypnotherapy for Trauma and PTSD helps. Exposure – Traumatic events negatively affect a person’s experience of everyday life. While Hypnotherapy for Trauma and PTSD cannot wipe those memories from your mind, hypnotherapy can help you access the information within the subconscious to better understand the emotions surrounding the trauma. Intrusion – From spiraling nightmares to uncontrollable flashbacks, PTSD and trauma can throw intrusive thoughts all throughout the mind. Hypnotherapy can help put you into a trance and the hypnotherapist can help you adjust your reaction to those episodes. Avoidance – We all tend to avoid others and situations whenever we feel off. For PTSD and trauma victims, that’s only magnified. Distance only hurts the mind more. The toxic memories are rooted deep within the subconscious. The overall goal of Hypnotherapy for Trauma and PTSD is self-restoration. That addresses all part of your symptoms: physical, emotional and mentality. It helps amplify the lost parts of yourself. Alteration – Trauma affects everyone at different levels. It can cause many to doubt themselves, and come to not-so-wonderful conclusions: “I deserved that, I’m terrible that’s why…”. Hypnotherapy is here to help you pinpoint those moments of self-doubt and turn them in a different direction. Flipping the negatives into positives. Arousal – Traumatic events can throw off one’s senses. It can affect your sleep, concentration and lead to being easily startled. Hypnotherapy for Trauma and PTSD helps give you control of your actions you weren’t able to complete before. Proper healing can only occur when your body is given full control again. Hypnotherapy for Trauma and PTSD is there to help you address the previously mentioned symptoms and understand underlying causes. Severe PTSD and trauma symptoms may seem uncontrollable, but hypnotherapy professionals are here to help you see that it can help. For most people suffering from PTSD and trauma, there are moments where they’re triggered by something that sends them into that toxic mental state. Triggers can range from a veteran hearing a car backfire and it sending them back to when they were in a high-stress moment during their service. For others, it can be as simple as seeing a blue car driving near them and remembering the blue car that totaled their car in a wreck from years ago. Hypnotherapy for Trauma and PTSD helps you uncover those triggers and dive deep into your subconscious mind. Your conscious mind is of course where all rationalizing, analyzing and judging come into play. However, the subconscious mind is the sensory vehicle that controls it all. Hypnotherapy helps you locate those triggers and tame the way you react or feel about them. Hypnotherapy for Trauma and PTSD is known for providing long-term results in a short amount of time. In fact, it is considered one of the safest and healthiest clinical treatments. Known as ‘brief therapy,’ hypnosis does not require any supplemental medications. Often not reflected accurately on television shows, hypnosis never requires surrendering your morals, judgment or conscious mind to accomplish the objectives you communicate to your hypnotherapist. You can never be forced to reveal secrets or do anything against your will, nor can you ‘get stuck in’ hypnosis. At Hypnotherapy of North Georgia, we approach Hypnotherapy for Trauma and PTSD with the utmost respect, responsibility and education. Upon arrival at your first appointment, our hypnotherapist will consult with you to assess what your needs and goals are from Hypnotherapy for Trauma and PTSD. Your first session will take approximately 2 hours due to the first consultation. The first hour is a complimentary consultation and you are under no obligation of any kind. Any sessions after this will usually run around 45 minutes. While many clients communicate experiencing a noticeable change after their first session, establishing long-term results usually requires more than one session. 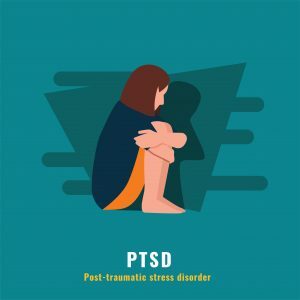 Hypnotherapy for Trauma and PTSD treatments with Hypnotherapy of North Georgia is a great start to controlling and understanding your PTSD and trauma. Don’t let the anxiety and thoughts overwhelm you, we’re here to help you gain control again. Contact Us or call us 678-336-1705 to schedule your consultation today so you can have more control over your symptoms. We want you to live a much happier, calm life.